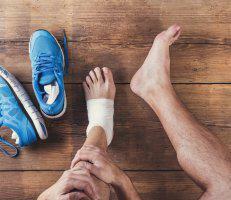 Surgery is always something you want to try to avoid, but in some cases, surgical repair is truly the best option to resolve foot and ankle conditions and injuries. With her extensive training in podiatric surgery and minimally invasive procedures, Mariola Rivera, DPM, of Aesthetic Podiatry & Sports Medicine Center can help you get through the most complex of injuries or ailments. Book your podiatric surgery evaluation at this White Plains, New York-based practice by clicking on the online scheduler or by calling the clinic. What does a podiatry surgeon treat? Some podiatric procedures are aesthetic and performed right in the office. For instance, if you have misshapen nails due to trauma or a fungal infection, you may benefit from the KeryFlex® nail restoration system to stimulate new, clear nail growth. What happens during podiatry surgery? At Aesthetic Podiatry & Sports Medicine Center, you meet with Dr. Rivera who’s a highly regarded foot and ankle surgeon with extensive training in minimally invasive surgery. Dr. Rivera evaluates your feet and ankles to ensure podiatry surgery is right for you. She can perform some minor procedures right in the office. For more complex podiatry surgeries, you might need either local or general anesthesia. Dr. Rivera uses thin surgical tools and follows minimally invasive techniques to make repairs, perform grafts, and even insert plates, rods, or screws. As long as you’re in good general health, podiatry surgery is almost always performed on an outpatient basis. 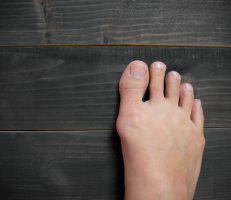 How long is the recovery after a podiatry surgery? Your recovery time after your podiatry surgery depends on your specific procedure. The benefit of minimally invasive surgery with Dr. Rivera is that you have fewer incisions, which results in a shorter recovery period. You can often start walking around with a supportive brace or cane within your first week, even for bunion correction surgery. It can take anywhere from four to six weeks to recover from more complex foot and ankle surgery, then just a few more weeks until Dr. Rivera clears you to return to sports or exercise. If you’re in need of foot or ankle surgery, contact Aesthetic Podiatry & Sports Medicine Center for a consultation today. You can book your exam online or over the phone.